Fri., Sept. 30, 2016, 7:09 p.m.
CLEVELAND – LeBron James didn’t hold back in weighing in on J.R. Smith’s contract impasse with the Cavaliers. James feels the Cavs owe the shooting guard, who helped them win an NBA title last season. “Negotiations are always two-sided, but J.R. did his part,” James said Friday following practice. “He showed up every day. … Became a two-way player, a model citizen in Cleveland and he’s a fan favorite, obviously we all know that. All of the sudden now he’s a season ticket holder at the Indians games. “We just miss him. We miss having him around. He’s a big piece of our team and they just need to get it done,” he said. The sides, however, remain apart on the length of a deal for Smith, who came to Cleveland in a trade with the New York Knicks midway through the 2014-15 season. He arrived with a reputation for being difficult, but Smith has fit in smoothly with the Cavs and was a key contributor in June when Cleveland overcame a 3-1 deficit in the finals to beat the Golden State Warriors. Smith made $5 million last season and could be seeking a deal for more than double that. With salaries around the league escalating at never-seen-before rates, Smith wants to cash in and he’s using his value to the Cavs as leverage. While negotiations go on, Smith attended two Indians games last week. 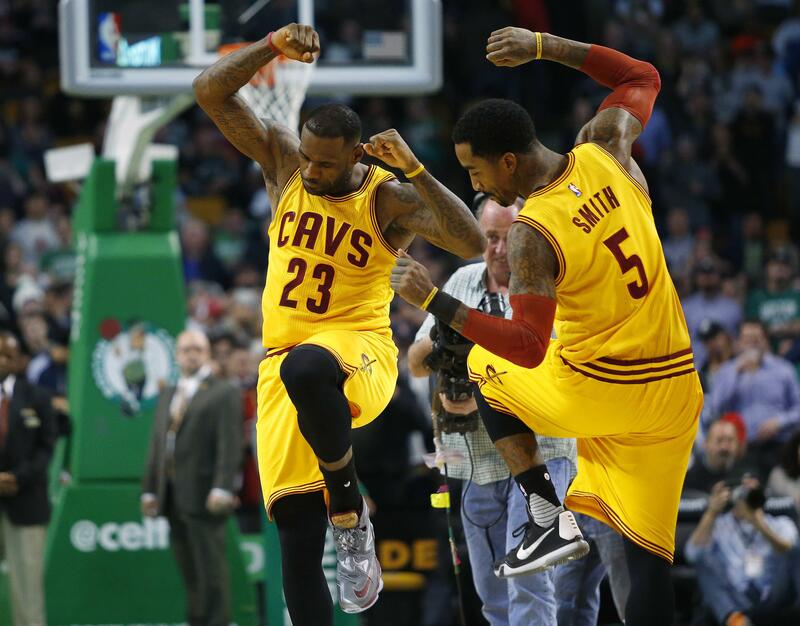 James has been friends with Smith for years and their relationship has grown tighter in Cleveland. They share the same agent, Rich Paul, who also represents forward Tristan Thompson. The Cavs were in a similar situation last year with Thompson, who missed training camp before getting a five-year, $82 million contract extension. James has been through this before and he’s not happy about it. Beyond Smith’s shooting – he’s one of the league’s best 3-point shooters – he’s one of the team’s top defensive players and his size and athleticism allow Cavs coach Tyronn Lue to match him up on guards and forwards. James, who has been through the free-agent process several times, remains hopeful Smith will sign soon, but he’s bracing himself for any outcome. Published: Sept. 30, 2016, 7:09 p.m.